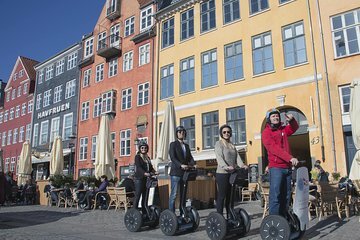 Zip through the historic streets of Copenhagen on an electric, two-wheeled, self-balancing Segway scooter. After learning how to operate the scooter, follow a guide past the city's highlights and landmarks, allowing you to cover lots of ground in a short time. Listen to engaging commentary on the history and culture of the Danish capital city through included audio headsets.